We offer a service to pregnant women to serve as volunteers. 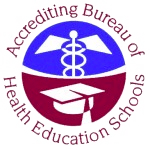 OB patients who have had their second trimester ultrasound from their doctor are eligible to be scanned at the school by the students. There is no charge for a regular 2D ultrasound. A radiologist will not be reading the ultrasound and it is not a diagnostic ultrasound. It is a service provided to patients which allows students to get practice scanning OB patients other than in their clinical sites. We will provide printed pictures as well as offering you a CD, DVD or flash drive to purchase, depending on which ultrasound machine is used during your exam. Get in touch through the web form or by calling (850) 478-7611.